Tucked away just down a gravel driveway from a busy highway lies a piece of history that some Knoxville residents don’t even know exists. Marble Springs State Historic Site, located at 1220 W. Gov. John Sevier Highway, was the home of John Sevier, the first governor of Tennessee, from 1796 until his death in 1815. 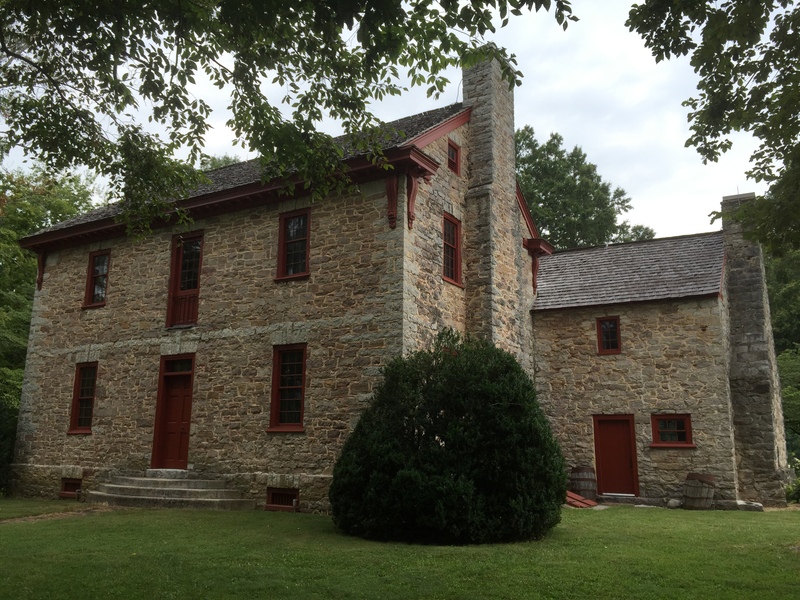 The 35-acre property includes five historic structures, an arboretum and hiking trails and is open year-round for tours as well as special events such as a weekly Farmers’ Market, living history events, and workshops on everything from knitting to stargazing. The site also can be rented for events such as birthdays, reunions and weddings, and yet visibility is still a challenge, according to Anna Chappelle, executive director. But you don’t have to be a history buff, a Scout or a student to enjoy Marble Springs’ third annual Sevier Soiree, which will be held 6:30-8:30 p.m. Saturday, Sept. 19. The event will include a catered dinner, live music and silent auction to raise funds for the Gov. 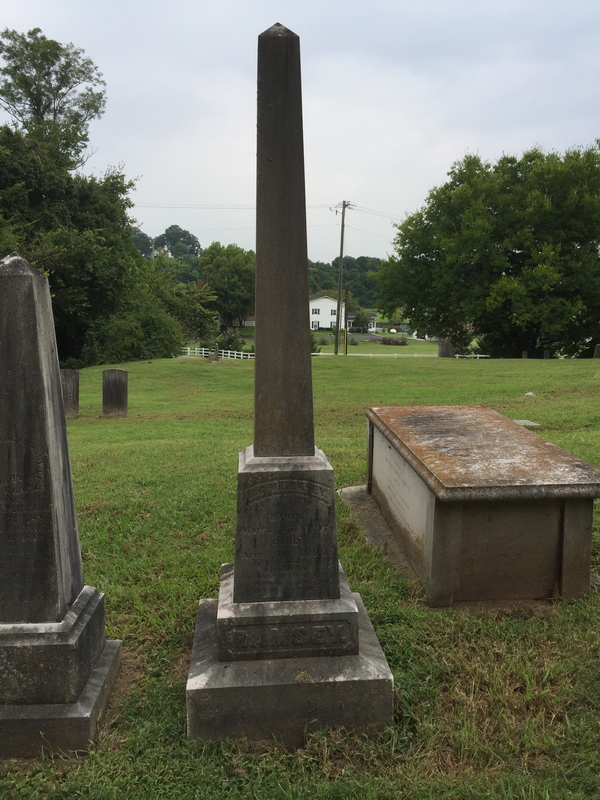 John Sevier Memorial Association, the nonprofit that operates and maintains Marble Springs. For $50 per ticket, event attendees can walk among Marble Springs’ historic structures as the sun is setting, enjoying open-hearth-cooked hors d’oeuvres served by re-enactors in period costume and listening to live music by local Americana band Guy Marshall. The silent auction will feature items such as tickets to area attractions, from Dollywood and Wilderness of the Smokies to the Knoxville Symphony Orchestra. The biggest draw, the one that causes “a bidding war,” Chappelle says, is a signed and framed photograph of Marble Springs’ own Sevier Cabin by photographer Michael Byerley. Dinner, catered by Bradford Events, is a Southern-inspired meal this year, with fried chicken, cheese grits, squash casserole and sweet potato casserole, among others, served in the pavilion. If you’d like to come out for the soirée, you can order tickets by clicking here. Deadline for reservations is Sept. 14. It’s gonna be a blast! And don’t forget about our living history event the weekend of Sept. 19th. You can rent the site for your wedding or family reunion, too. Francis Alexander Ramsey was a Pennsylvania native who arrived in Tennessee around the end of the Revolutionary War, got involved in the Franklin movement, served as clerk of the Southwest Territory, and was a founding trustee of what eventually became the University of Tennessee. About the same time that Tennessee became a state, he hired an English carpenter named Thomas Hope to build a fine home of pink marble and blue limestone at Swan Pond, his plantation near Knoxville at the confluence of the Holston and French Broad Rivers. The house is still there, and a few days ago I decided it was high time I saw it in person. Ramsey House is one of the most beautifully constructed and restored of all the historic house museums I’ve visited. Once referred to as “the most costly and most admired building in Tennessee,” it would have been quite a bit more substantial than most of the other homes on the frontier near the turn of the nineteenth century. The quality of Hope’s craftsmanship is evident in the limestone trim and the carved corbels underneath the roof corners. Cabins and small homes on the early Tennessee frontier typically had kitchens that were either detached from the main house or linked to it by a covered dogtrot. Ramsey House’s kitchen, by contrast, is attached to the main structure. The tour guide told me this was at the insistence of Francis Ramsey’s wife. 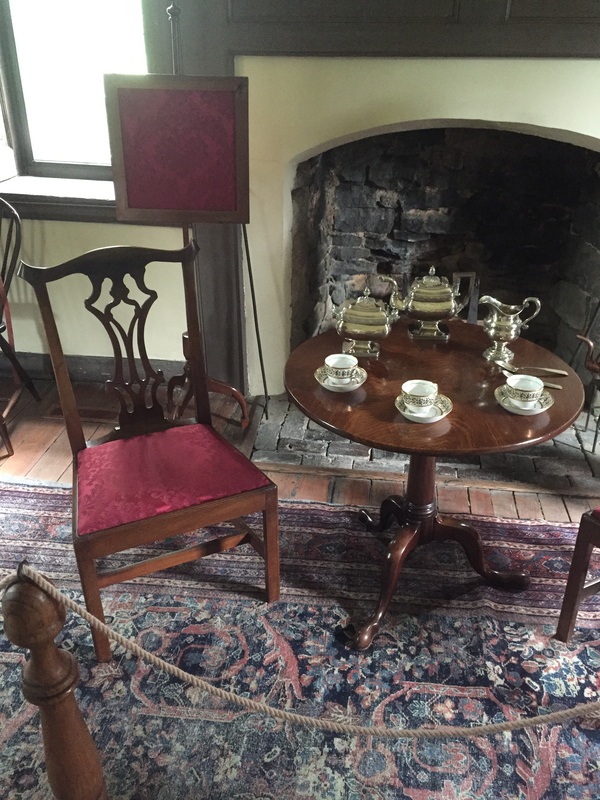 The interior is just as impressive as the exterior, furnished with period pieces that include some Ramsey family items, like the Chippendale chairs and tea service in one of the downstairs rooms. When Francis died in 1820, the house passed to his oldest son William, Knoxville’s first elected mayor. William later sold the home to his brother, the eminent doctor, historian, and public works booster J.G.M. Ramsey, who in turn gave it to his son as a wedding present in 1857 and moved a short distance away to his own estate of Mecklenburg. The house’s link to J.G.M. Ramsey was one of the main reasons I wanted to see it, since every aficionado of early Tennessee history is bound to cross paths with him sooner or later. 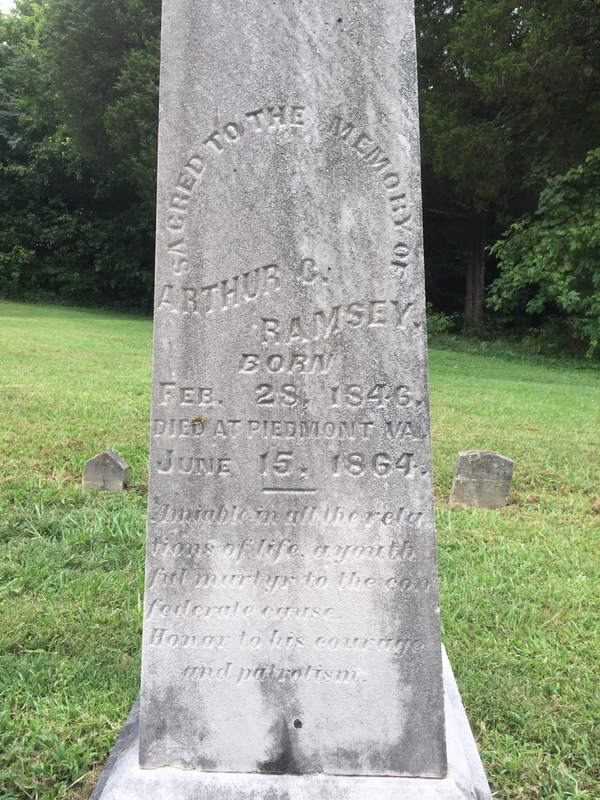 Although his contributions to the state’s transportation development and finance were considerable, Ramsey’s role as chronicler of Tennessee’s past was probably his most important legacy. Some of the most prominent players in Tennessee’s formative years were guests at Ramsey House when J.G.M. was growing up, and he developed a passionate interest in the Volunteer State’s history, reflected in his massive collection of manuscripts and books. The crowning achievement of this historical work was his massive Annals of Tennessee to the End of the Eighteenth Century, published in 1853 and still an invaluable resource for students of the early southwestern frontier. 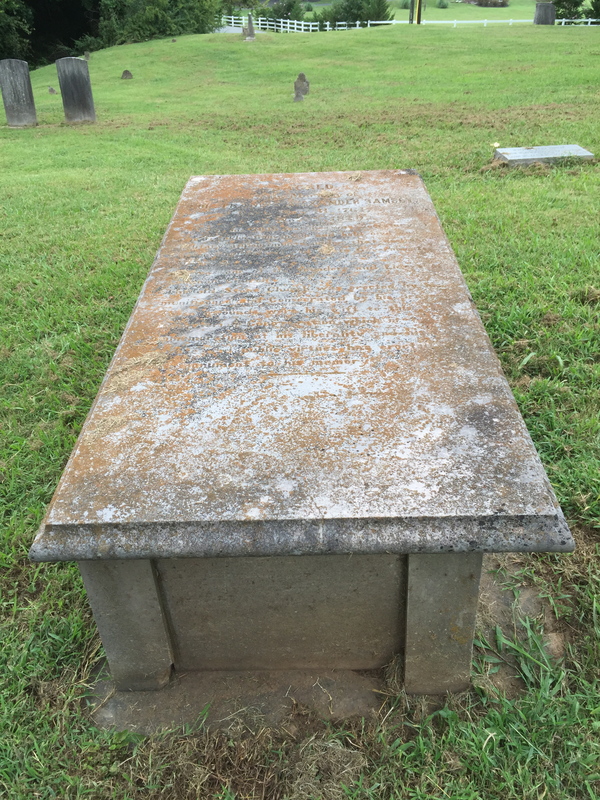 Above all else, he was a committed believer in states’ rights and a defender of southern interests, serving as a Confederate treasury agent on the outbreak of the Civil War. His zealous support for secession ended up taking a tremendous toll on his family. The Union occupation of Knoxville in 1863 forced him to flee Mecklenburg, his daughter was exiled from the city, and his youngest son Arthur was one of the many Tennessee troops killed in action at Piedmont, VA in June 1864. After the war, Ramsey was able to get a presidential pardon from Andrew Johnson. The family eventually returned to Knoxville, but J.G.M.’s son sold the ancestral home in 1866. The Association for the Preservation of Tennessee Antiquities acquired it in 1952 and furnished it to match the period of Francis Ramsey’s occupancy, using items donated by descendants and an inventory of the patriarch’s estate. In addition to the house, the site has a small visitor center with a gift shop, an exhibit of family relics and archaeological materials excavated on the grounds, and a short film. I definitely recommend a visit if you’re in the Knoxville area; it’s an architectural gem and a fascinating glimpse into the lives of one of Tennessee’s most important families. You might also want to visit the site of Lebanon-in-the-Fork Presbyterian Church, just a couple of miles from Ramsey House. Rev. 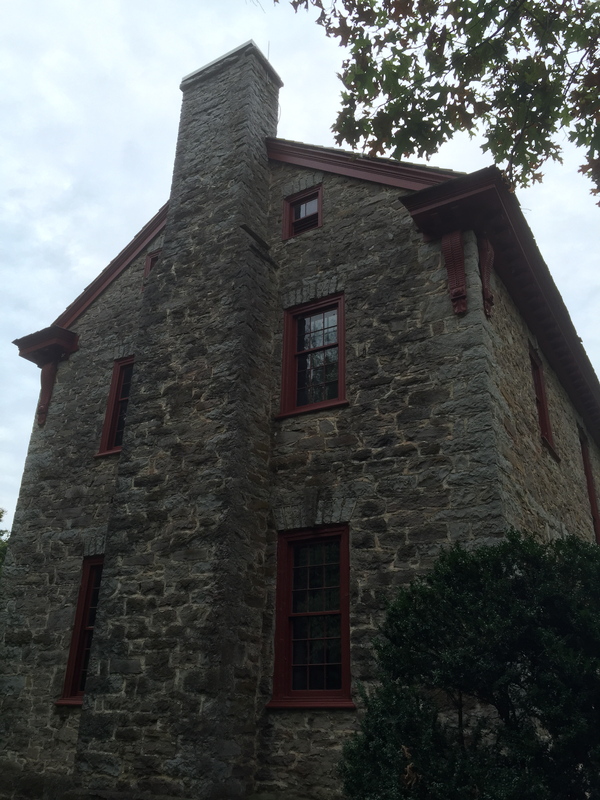 Samuel Carrick established Lebanon-in-the-Fork in 1791, making it the oldest Presbyterian church in Knox County. The church building is gone, but the graveyard is well worth a look. 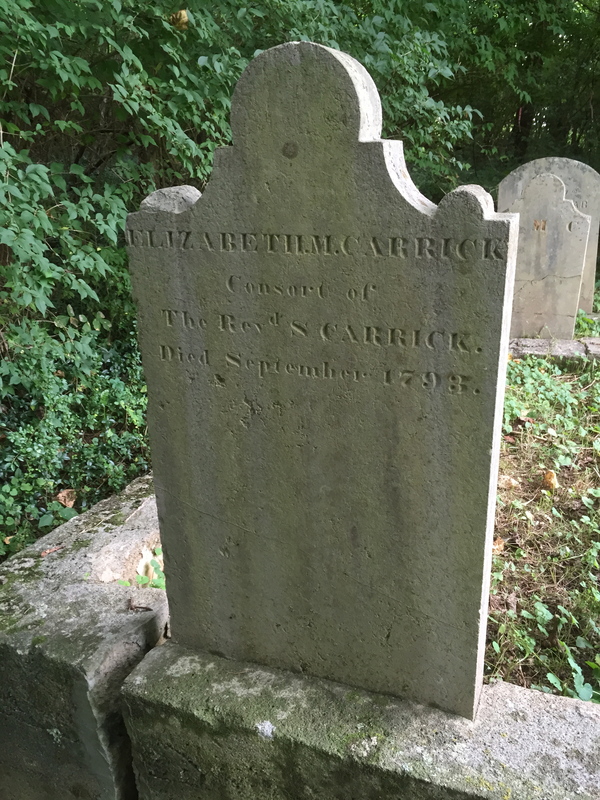 The grave of Carrick’s widow is Knox County’s earliest marked burial, dating to 1793. Also in the Ramsey plot is a memorial for Reynolds Ramsey, father of Francis and a veteran of the Revolutionary War who was at Trenton and Princeton. J.G.M. remembered his grandfather as a “tall and graceful” man who “never entered a room with his hat on and never retired from it without a graceful bow and a modest and sincere adieu.” I suspect it was J.G.M. 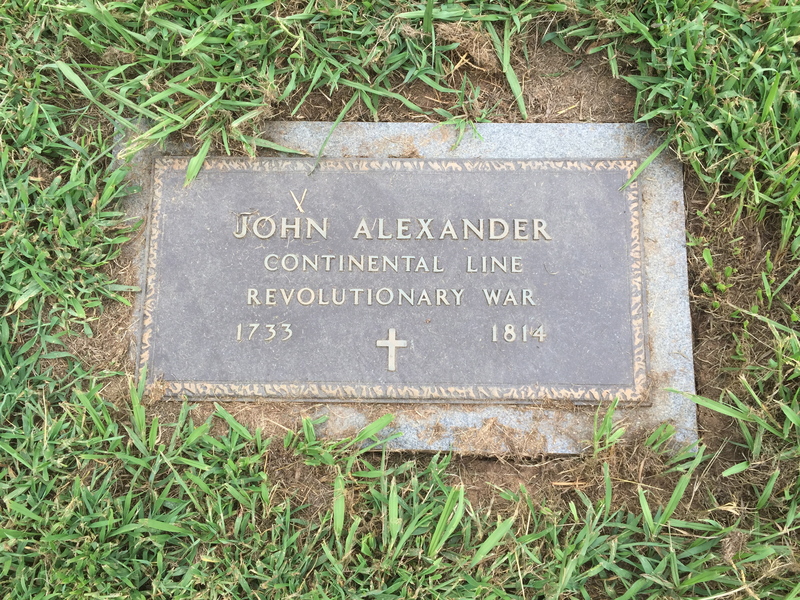 himself, with his interest in history, who made sure his grandfather’s tombstone mentioned his Rev War service. 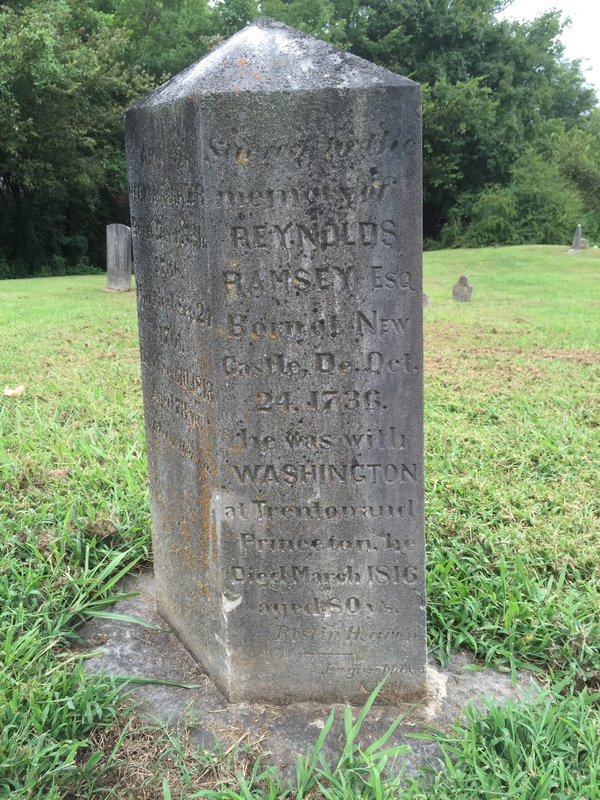 Reynolds isn’t the only Rev War veteran buried at Lebanon-in-the-Forks. During the infancy of the settlements on Nollichucky, corn had become scarce, and availing themselves of a short suspension of hostilities, Jeremiah Jack and William Rankin, of Greene county, descended the river in a canoe, for the purpose of bartering with the Indians for corn. They reached Coiatee without interruption. The warriors of that place refused to exchange or sell the corn, and manifested other signs of suspicion, if not of open enmity. They entered the canoe and lifted up some wearing apparel lying in it, and which covered their rifles. This discovery increased the unwillingness of the Indians to trade, and they began to show a disposition to offer violence to their white visitants. The beloved woman, Nancy Ward, was happily present, and was able by her commanding influence to appease their wrath, and to bring about friendly feelings between the parties. The little Indians were soon clad in the home made vestments brought by the traders—the canoe was filled with corn, and the white men started on their return voyage well pleased with the exchange they had made, and especially with the kind offices of the beloved woman. On their return, the white men landed and camped one night, a mile above the mouth of French Broad, on the north bank of the little sluice of that river. 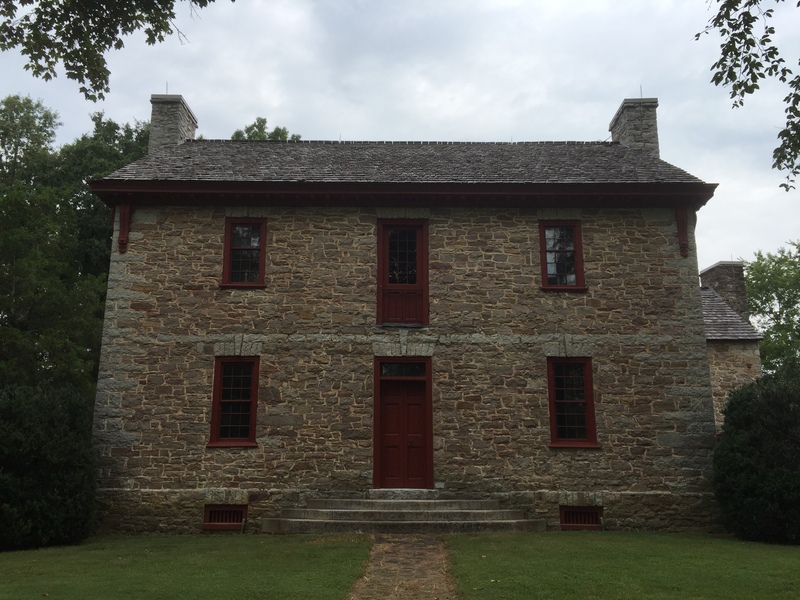 Mr. Jack was so well pleased with the place, that he afterwards selected it as his future residence, and actually settled and improved it on his emigration to the present Knox county, in 1787. A few items relating to the Civil War and the ways we remember it caught my attention lately. First up, when Pope Francis visits Philadelphia, he’ll be speaking behind the same podium Lincoln used to deliver the Gettysburg Address. Right now it’s at the city’s Union League for safekeeping. By the way, the Union League is worth a visit if you’re ever in Philly. As Dimitri Rotov noted recently, it’s got a fine collection of Civil War art and memorabilia. I got to spend some time there a few years ago on a business trip (one of the perks of working for a Civil War museum is traveling to neat places for work), and it’s a fantastic building to wander around in if you’re a history buff. Second item: an opera based on Cold Mountain just premiered in Santa Fe. Seems like a suitably operatic subject, but I doubt they’ve found a way to pull off the Battle of the Crater inside an auditorium. Third, it looks like Jefferson Davis will be staying in the Kentucky Capitol for the foreseeable future. The state’s Historic Properties Advisory Commission voted to keep the Davis statue while adding some “educational context.” As I’ve said before, I think leaving historic monuments intact while providing some interpretation to put them in their context is the best course of action in these situations. One thing that really surprised me about the Davis issue was the reaction among black Kentuckians. In one poll, they were pretty evenly split between support for keeping the statue (42%) and support for removing it (43%). The percentage of black Kentuckians in favor of keeping the statue was much lower than that for whites (75%), but still a lot higher than I would’ve expected. Reflecting Kentucky’s Civil War divisions, the Davis statue shares the Capitol with a likeness of the state’s other wartime president, Abraham Lincoln. Today we mark a noteworthy anniversary in the history of the world—and in the history of Appalachia, although I don’t think we really associate the two as we should. Lots of people know that the enriched uranium in “Little Boy,” the atomic bomb dropped on Hiroshima seventy years ago, came from the Y-12 plant at Oak Ridge here in East Tennessee. At the very least, they know that Oak Ridge was involved somehow in the Manhattan Project. But while plenty of people know of East Tennessee’s connection to the atomic bombing, I suspect they don’t really “get” it. “Appalachia” connotes backwardness; people think of the mountains as a place of log cabins and hardscrabble farms, not the advent of the atomic age. Even here in East Tennessee, it seems to me that we tend to see Oak Ridge’s wartime experience as somehow set apart from the rest of our history, as a kind of singular, brief moment in time when we suddenly became relevant before slipping back out of the mainstream. Because we’ve let ourselves be convinced of our isolation and exceptionalism, we don’t really “own” this instance that proves how wrong those notions of isolation and exceptionalism are. But Oak Ridge’s history, and thus the history of the atomic bomb and the world it made and unmade, is a part of Appalachian history. Part of the job of Appalachian historians, I think, is to figure out how to integrate these aspects of the region’s past that don’t fit people’s expectations into a more comprehensive narrative. Maybe this would help erode some of the simplistic stereotypes that continue to define popular notions of what the region is, and what it isn’t. East Tennessee’s role in the creation of the atomic bomb might be a good entry point for this sort of thing, but that won’t happen as long as we see it as some singular development in the region’s history that has little to do with the rest of it. With that out of the way, here are some links in recognition of what happened seventy years ago today. Interested in Oak Ridge’s seminal wartime years? I recommend City Behind a Fence, by Charles W. Johnson and Charles O. Jackson. In Japan, designated storytellers are shadowing survivors of the bombing in order to transmit their stories. Younger Americans are less likely than older ones to consider the atomic bombings justified. If you’re up for some atomic history tourism, the American Museum of Science and Energy in Oak Ridge has an exhibit on the city’s wartime origins. If that doesn’t cut it for you, the Trinity test site holds two “open house” days a year. One of our Marble Springs staff members is moving on to a position at a Civil War-related site, the T.R.R. Cobb House in Athens, GA. Cobb was a lawyer who figures prominently in Georgia’s legal history, but he’s best remembered as a member of the Confederate congressional committee responsible for drafting the CSA’s constitution and as the organizer of the Georgia Legion. 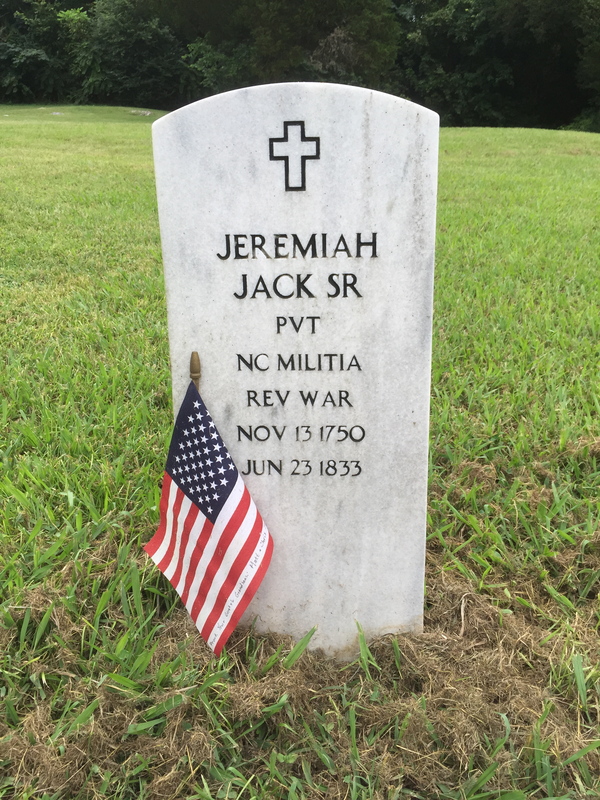 His military career didn’t last long; he bled to death from a mortal wound received at Fredericksburg, but the Legion went on to serve in many of the war’s bloodiest battles. I don’t know if he was any relation to Wilbur Cobb of Ren & Stimpy fame, but I desperately hope so. Anyway, we had a little send-off for our colleague (who we were very sad to lose) a few days ago, and she mentioned that she’s about to start studying up on Cobb’s life and times for her new job. After years of working on the Tennessee frontier, it’ll be quite a change. It occurred to me that this is one of the differences between public historians and their academic counterparts. Academic historians have the tremendous luxury of specialization. They spend years immersing themselves in the literature and primary sources of a particular field, and their success depends on how well they can navigate within it. Of course, they’ll end up teaching courses that fall outside their specialization. When it’s their turn to teach the survey course, they’ll have to have a working knowledge of a tremendous swath of historical knowledge. And the academic who can rework his or her specialization to fit a particular department’s strengths and expectations will be at a great advantage on a job search. But if they’re lucky, academic historians will spend much of their time on whatever it is they’ve chosen to study. Public historians, on the other hand, have to learn to adapt. Their reading and research will depend much more heavily on the job they find themselves in than on their own inclinations. Again, the differences aren’t absolute; some public historians will be fortunate enough to find a position that suits their particular interests and expertise, just as some academic historians will find it necessary to adapt quickly to meet the needs of a department looking to hire new blood. But adaptation is more likely to be a fact of life for the public historian. A change of job doesn’t just mean a change of zip code and getting to know a new city. It also means getting acquainted with a new mental geography: new contexts, new historiographies, new themes. It might mean a crash course in World War I for your first job, labor history for your second, the antebellum South for your third. One of my former bosses has worked at museums specializing in subjects as varied as the Trans-Mississippi West, the history of firearms, and Abraham Lincoln. I know people who have been posted at sites dealing with the pre-Columbian Southwest and the Kentucky frontier, Jacksonian canals and the Civil War, twentieth-century education and eighteenth-century Appalachia. On top of all this, remember that public historians have to be generalists in another sense, too. They have to be familiar with the tenets of historical research as well as all the practical know-how required to manage a museum or a site: preservation, exhibits, budgets, pedagogy, and so on. Adaptability and versatility just might be the two most important qualities for the aspiring public historian. It’s not a career choice for the faint of heart, but if you like learning new things, it’s a heck of a lot of fun.